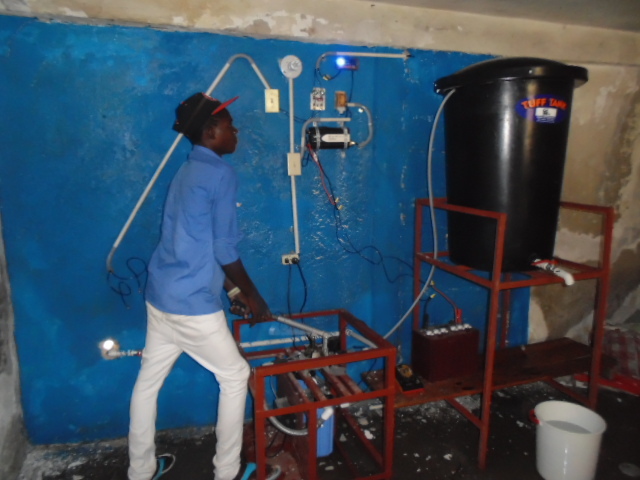 In partnership with the amazing Kate Danvers, LGF Haiti completes yet another installation of its uniquely designed manual hand pump water purification system (designed and built in Haiti by our all Haitian team) This time the LGF UV2000 system was installed at Ecole mixte le Redempteur a school for 500 students located in one of the poorest parts of Haiti’s slums of Cite Soleil, Port au Prince. Thanks to our amazing in country team who are doing such a great job of bringing clean water to all of the school children in Haiti. Haiti’s future is dependent on the health and well being of her children. This entry was posted in LifeGivingForce Foundation and tagged cholera, clean water, Haiti, Haiti earthquake, water purification. Bookmark the permalink. Post a comment or leave a trackback: Trackback URL.